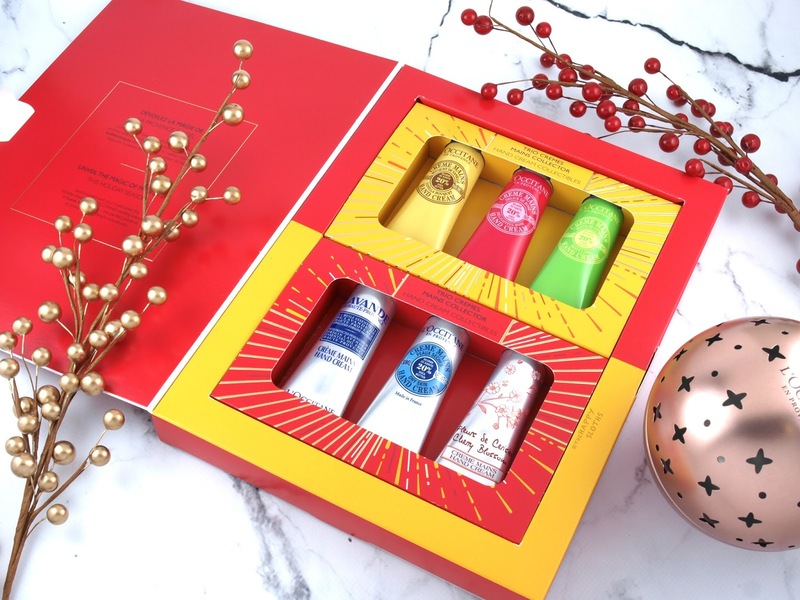 A set of six travel-sized hand creams (30ml each), this is an awesome gift offering some of the signature L'Occitane scents. You get the Shea Butter Citrus, the Cherry Blossom, the Shea Butter Rose, the original Shea Butter, Shea Butter Vanilla, and the classic Lavender. Everything comes in a gift-ready box but the set can also be easily split in half if you want to treat not one, but two friends to some nourishing hand creams. 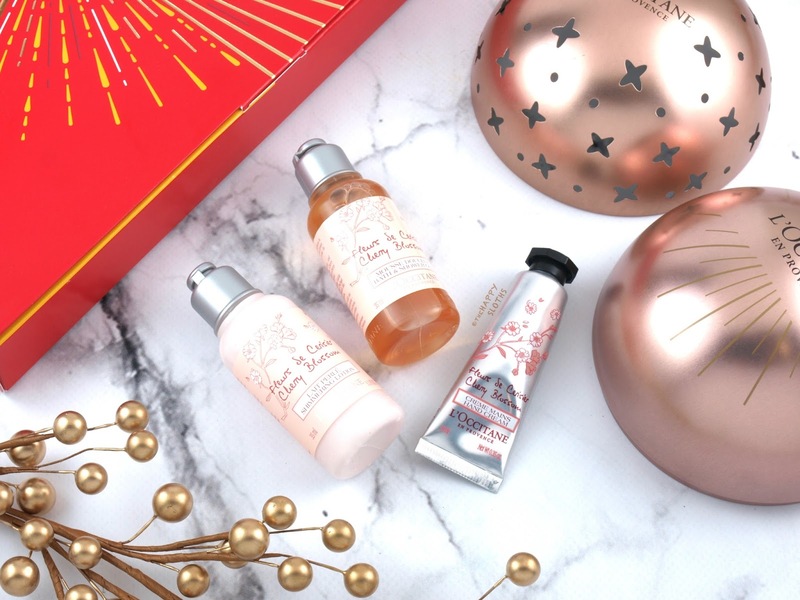 Housed in a gorgeous rose gold metal sphere that easily doubles as a Christmas ornament, this is a mini stocking stuffer containing three sample-sized goodies from the Cherry Blossom range. You get the Cherry Blossom Bath & Shower Gel (35ml), the Shimmering Lotion (35ml), and the Hand Cream (10ml). This is perfect for those looking to try some L'Occitane essentials. Plus, because everything is so tiny, they are perfect for traveling! What stocking stuffers are you picking up this year? Share with me in the comments below!